Take a page from Olympic medalists: How you manage your expectations can boost your happiness. Athletes who win silver medals must be happier than those who win bronze, right? Not exactly. People in one study rated athletes’ emotions — based on their facial expressions — immediately after they learned where they placed. On a 1- to 10-point agony-to-ecstasy scale, bronze medalists scored 7.1 on average, while the silver medalists averaged just 4.8. Later, on the awards podiums, the bronze medalists still got higher happiness scores, 5.7 to 4.3. Why? Psychologists believe it stems from “counterfactual thinking,” or imagining the outcome that didn’t happen. Silver medalists focus on “I almost.” They can easily envision how they could have won the gold — nailing their landing, for example. So, they feel like they lost. Bronze medalists think “At least I.” They can picture not winning a medal at all. So, for them, third place is a win. We all face situations every day where we feel like we win or lose. Say you get a 5 percent raise. That might feel great if your colleague got a 3 percent bump. If your colleague’s salary jumped 10 percent? Not so much. “Happiness very much hinges on expectancies,” says E. Scott Geller, Ph.D., psychology professor and director of the Center for Applied Behavior Systems at Virginia Tech. So, what can we do to frame our expectations so we feel like we’re winning? Silver medalists compare themselves to the gold medalists; bronze medalists compare themselves to themselves. Rather than getting caught up in what we don’t have or wish we had, gratitude is about directing attention to the good things in life — those things that could be taken for granted. Set goals that are achievable. If you aim to lose five pounds and you lose 10, you’ll be thrilled. Aim to lose 20 and lose 10? Not so much. But the facts are the same — you lost 10 pounds. Bono says that gratitude is one of the most effective ways to increase your sense of well-being. “Rather than getting caught up in what we don’t have or wish we had, gratitude is about directing attention to the good things in life — those things that could be taken for granted,” he says. Aim to be healthier, not healthy, for example. Then, focus on small steps you can take today to work toward that goal. Celebrate your progress — if you had a salad today instead of fries, or you walked for five minutes longer than you did yesterday, count it as a win. Losses happen. 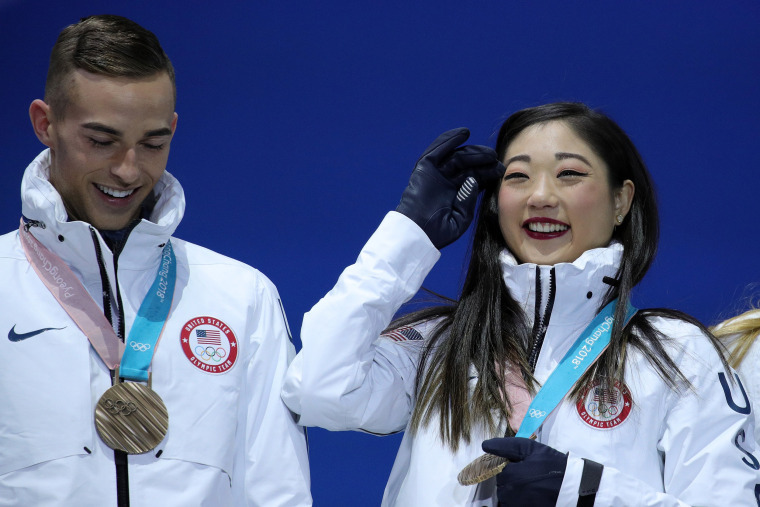 Most silver medalists’ goals were realistic and attainable — they had a shot at the gold. “If you’ve had a setback you need to process it and then look forward,” says David Matsumoto, Ph.D., a psychology professor at San Francisco State University and expert in facial expressions. He points out that despite their disappointment, silver medalists are usually motivated to keep competing.